Isn’t it great when you make fresh coffee or bake a loaf of bread, and your whole house smells amazing because of it. Ever wanted to have that all the time, except instead of coffee or bread it’s gravy, and instead of gravy it’s specifically KFC gravy? If you have, you’re in luck. And if you haven’t, well keep reading anyway because you may just have a hankering for a house that whiffs of KFC gravy by the end of this article. 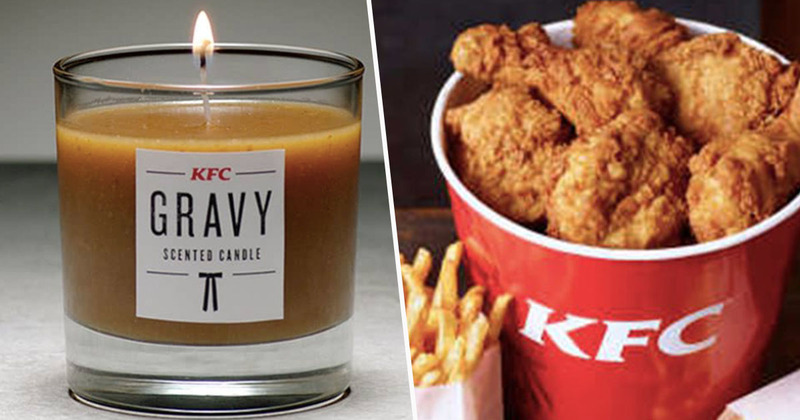 Famous fried chicken fast food outlet KFC is selling a candle that smells of their famous gravy. There are 230 up for grabs, and they’ll be sold on a first-come, first-served basis. Nothing beats the sweet, soulful aroma of KFC gravy. So this January, why not fill your home with Finger Lickin’ good vibes thanks to our limited edition KFC Gravy Candle. This isn’t the brand’s first foray into scented products, having previously released a chicken-scented candle, as well as a bath bomb that smelled like their signature five herbs and spices mixture. But this is the first time KFC have released one of these pongy products in the UK, according to Metro. You’re not dreaming. You really can now fill your home with the incredible aroma of KFC gravy with this limited edited candle… it’s staggeringly nose stimulating. What an honour it was to create a candle with such a highly-beloved scent. Initially the different ingredients within the gravy were split into their constituent parts and fragrances matched to each. Then the scent was built component by component in the similar ratios as KFC’s iconic gravy. The artisanal approach to creating the candles was crucial to ensure the familiar and evocative aroma of gravy was perfectly captured. If you’re up for it and fancy making your home smell like KFC gravy, you can go to this website, enter your name and email, and pray you’re in luck. I’m on to you, KFC. Scented candles are lovely and all, but a gravy-scented one is just going to make the sniffer super hungry for that finger lickin’ meat juice, so much so they’ll no doubt be legging it down to their nearest KFC in no time.